You are here: Home » Women Cricket » Why the bias when it comes to Women’s Cricket? Why the bias when it comes to Women’s Cricket? The Indian Women’s cricket team became the first Asian team to reach the finals of a Women’s World Cup. However, such an achievement did not earn them much recognition. The men’s cricket team reached the finals of the 2003 World Cup and they were offered awards and all types of perks. But the women’s team finds nothing more than a mention about their achievement. Forget the men’s team, even Sania Mirza who has not reached even the semi-finals of most tournaments finds herself reported on the front pages of newspapers every now and then! There is no denying the fact that she has achieved more than what most teenagers of her age have achieved. But why this bias when it comes to encouraging sportspersons from different fraternities? Ultimately, is it the glamour quotient that plays an essential role in gaining media coverage? A team that has reached the finals of a world cup doesn’t find many sponsors. The facilities provided are also not at par with the international standards. As Mithali Raj, captain of the Indian women’s cricket team, says “Media coverage definitely helps in spurring the confidence of a sportsperson. However there is mutual dependence, in the sense, that good victories can only get you noticed and media coverage encourages you to perform better as expectations will naturally be on a rise. It will also help the team in getting sponsors which in turn will open the doors for better facilities and professional coaching”. 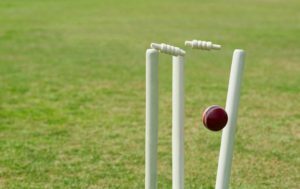 What differentiates the Australians from all other teams- not only in cricket but in all other disciplines – is the fact that all sports are given equal consideration and encouragement is given to all sportspersons, men and women alike! The amenities provided, the training right from the junior level, the planning, developing mental toughness and above all the discipline required to succeed at the highest level is what distinguishes Australia from other teams. Besides the fitness levels of the Australians give them the stamina to always give a top notch fight. The Women’s World Cup, 2005 was given national coverage in Australia, while most people in India did not even know that a Women’s World Cup was going on! Above all the support that they receive from their countrymen is unmatched. The way the Australian media helps in the mental disintegration of the opposition team and shatters the confidence of the opposition team’s captain by passing unwarranted remarks, is just one example of the role played by the media in the success of the Australians. When the Indian men’s cricket team can have a foreign coach then why not the women’s team? When sponsors literally line up to finance the men’s team, then why not the women’s team? All over the world, except in India, the men and women’s team are administered by the same governing body. That the BCCI may decide to manage the Women’s cricket team, is definitely a step in the right direction. It will mean that the sponsorship issue will be resolved and also the women’s team will have access to better facilities. It is known the world over that the BCCI is one of the richest cricketing boards and it has played a huge role in the commercialization of Indian cricket; then spending a few lakhs towards managing the women’s team is not going to cost much to the BCCI . 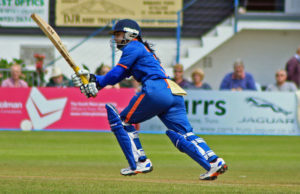 A 19-year old Mithali Raj scored a brilliant 214 against England in only her third test match. That was in 2002 and now at 22, she is the captain of the women’s cricket team! Not only that, she led India into the finals of the 2005 Women’s World Cup. She relishes the challenge of playing faster bowlers like Lucy Pearson. Just like Rahul Dravid, even she has steadied the Indian boat coming in at difficult times. The Indian women’s team is also a bunch of talented and passionate players eager to perform at the highest level. All they ask for is some support and encouragement besides professional attitude to develop the fitness levels and mental toughness to succeed at the international level. A continuity of matches organized at the international level will help in developing the consistency and gain experience. Meanwhile, when the next World Cup takes place after four years, the Women’s cricket team will be a team to vouch for! Working together does not only bring out the best in all of us; it brings out the best in each of us!